With autumn colours spreading through the woods and hedgerows, and my alarm clock waking me before the sun has risen, winter beckons and the plants on the veg plot are responding in turn. The sunshine in the past few weeks had meant we’d been able to offer courgettes to the restaurant but from this week, no more. We’ve uprooted our sweetcorn, cleared out the french beans and gathered the last of our beetroot. Indeed, our harvest list is looking decidedly brassica heavy with red cabbage and kales in their element. The polytunnels offer some variety- chilli peppers are ripening, tomatoes are still on the go and newly planted winter leaves- mizuna, mibuna and frizzy mustards are making their way into restaurant salads. We’ve nearly come a full circle since I began working in the Vegetable Garden in November last year. Then and now, the ‘word’ of winter on the veg plot is ‘mulch.’ Mulching is a crucial component in our no-dig system. 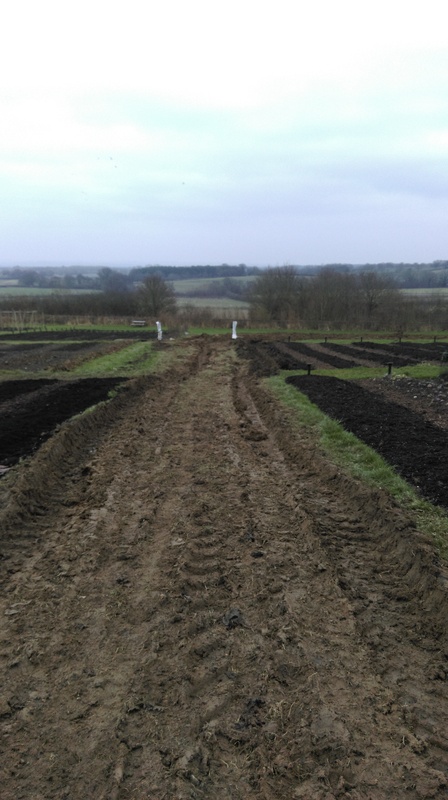 We top dress each bed with a generous layer of green-waste compost which we have delivered by the tonne load. I like to see the act of mulching as putting the beds to sleep for the winter, tucking them up in a cosy blanket of compost protecting the bare soil beneath from leaching (losing precious nutrients), compaction (from winter rainfall), weed seed germination and providing a food source for worms and other soil life that we depend upon to improve soil structure and release nutrients in plant soluble form for veg the following Spring. Mulching our soil, the notorious Kentish Weald clay, and crucially not digging it in, is a win win win situation for us. 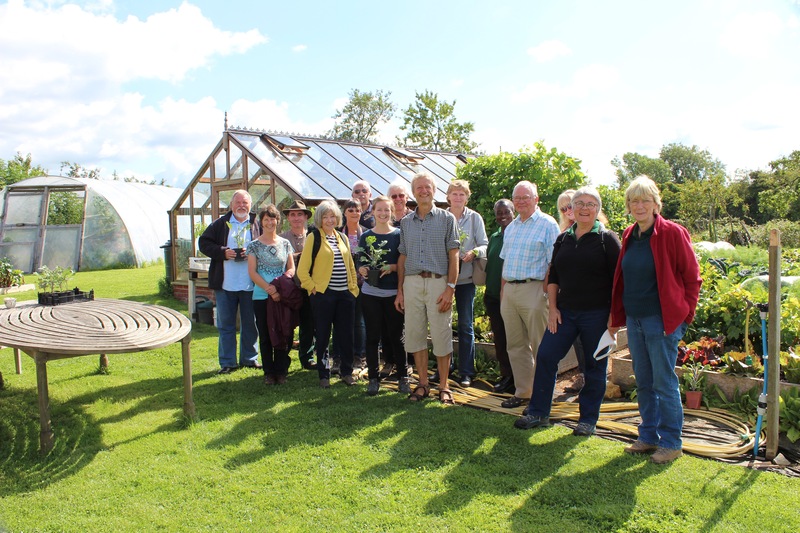 A couple of years ago the ambassador for no-dig growing, Charles Dowding, came to Sissinghurst to offer advice as the site transitioned to a no-dig system. 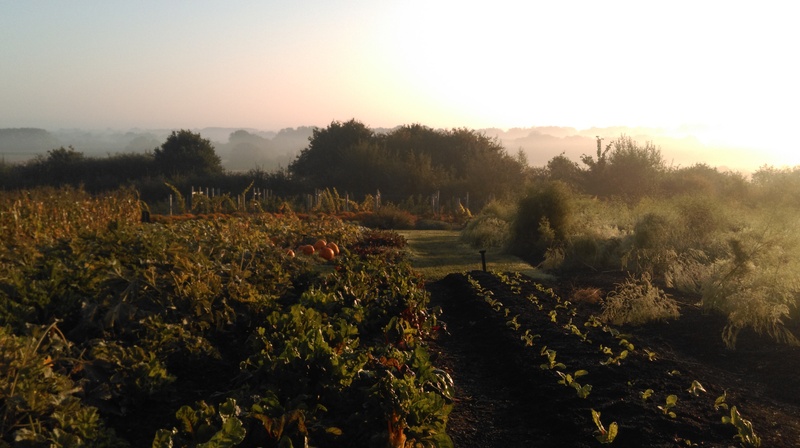 This August head veg gardener, Helen, and fellow veg garden volunteers gathered at the crack of dawn to journey over to his garden, Homeacres, in Somerset to return the visit. Charles has pioneered no-dig veg growing methods in the UK publishing several books on the subject. To see his garden with your own eyes is a treat to any veg growing enthusiast and how easy he makes it sound; ‘in 6 months your couchgrass will be gone!’ With a layer of cardboard as a weed suppressant and 6 inches of compost on top he transformed a grassy, weedy paddock into a thriving vegetable polyculture. Just. Like. That…well, a diligent eye to ruthlessly whip out any weed seedlings that dare show their cotyledons helps but in essence yes, and we have photos to prove it. His website (www.charlesdowding.co.uk) is well worth a scroll through. Sissinghurst Veg team meet Charles Dowding. Happy no-dig veg gardeners! Reflecting on the past season I think how fitting it is for me to have worked this year, the UN year of soil, on a veg garden that has possibly the worst soil texture I have ever grown on! Clay! How it turns to plasticine in the winter and bakes in the summer. How fitting, however, that in the UN year of soil, I work on a veg garden whose core tenets are dedicated to soil improvement; no-dig and organic principles. When, according to the UN, a third of the world’s soils are endangered (yes, like the Giant Panda except we’re all dependent upon the stuff!) there hasn’t been a more important time to be dedicated to something so undervalued and while there is always more to learn and a long way to go, it’s nice to know we’re heading in the right direction down on the veg plot. All the seriousness aside, I find soil fascinating as it’s a complex web of interconnected relationships between micro-organisms, nutrients, bacteria and fungi. By following organic principles on the veg garden we aim to improve the soil by encouraging these cycles and interactions. Top dressing with mulch increases organic matter content which releases nutrients and produces humus, (that wonderful elixir of soil life) which improves structure and at the end of the day enables us to produce healthy and delicious vegetables year upon year. In the International Year of Soils I dare you to take a moment to think about the world beneath our feet and not find it awe inspiring. 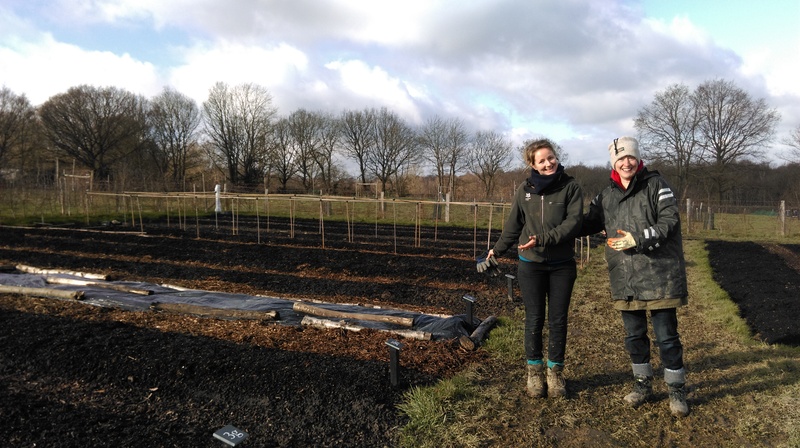 Sadly this is my last week at the Sissinghurst veg garden and I’d like to end this blog to thank all our veg garden volunteers for their help, conversation and memorable moments of which there have been many. We have around 25 volunteers on the veg garden throughout the week, without them we’d be up to our ears in weeds, our beds would be unmulched and we would have had nowhere near as successful a season as we have had this year. My heartfelt thanks to you all. The veg garden is going from strength to strength. It’s been wonderful to be a part of it this year and I wish it every success in the many growing seasons ahead.